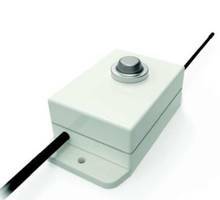 Swift’s Wireless Gas Sensors are used for measuring the concentration of ammonia, carbon dioxide, methane and benzene. These units are designed for in leak detection, air quality monitoring environmental monitoring in hazardous environments such as industrial plants, manufacturing facilities and warehouses. They allow user to set warning and critical thresholds for sensor measurements and the data is stored on Swift Sensors Cloud via computer, tablet, or smartphone. AUSTIN, TEXAS (PRWEB) AUGUST 16, 2018 - Swift Sensors, Inc., a supplier of plug-and-play cloud-based wireless sensor systems for Industrial IoT, has released four gas sensors for air quality and safety monitoring. The wireless gas sensors simplify and reduce the cost of monitoring dangerous and hazardous gasses in industrial plants, manufacturing facilities, warehouses. Common applications for the new sensors include leak detection, air quality monitoring, OSHA compliance monitoring and reporting, environmental monitoring in poultry and livestock farms, and facility monitoring. The new sensors measure concentration of ammonia, carbon monoxide, methane, and benzene. Each sensor is AC powered and packed in a small ABS enclosure. Warning and critical thresholds can be set for the sensor measurements, and notifications sent if thresholds are exceeded. All data from the sensors are stored on the Swift Sensors Cloud and can be managed and viewed via the Swift Sensors Dashboard from any computer, tablet, or smartphone. We’ve added Swift Sensors’ ammonia sensor to our new mobile monitoring platform for poultry farms,” said Mark Moshier, President, Manufacturing Division of Arrowsight, the leading supplier of remote video auditing for manufacturers, food service companies, and hospitals. The breadth of measurements Swift Sensors offers gives us the ability to add monitoring of critical environmental conditions in our customer’s operations. Swift Sensors, Inc. is a cloud wireless sensor IoT company, providing a low-cost sensor system for industrial and commercial applications. Its flagship product is the Swift Sensors Cloud Wireless Sensor System, comprised of low-power wireless sensors and cloud-based monitoring, notifications, analytics, and reporting. The sensor system proactively protects and monitors a wide range of equipment and processes. Swift Sensors applications include manufacturing, food service, facility management, cold chain, transportation, research & development, and power. The headquarters is located at 4611 Bee Caves Road, Suite 100, Austin, Texas, 78746. For more information, please visit http://www.swiftsensors.com or call +1-866-308-1340.